Some 15 billion won ($13.4 million) will be allocated in the national budget next year to assist Korean small and medium-sized companies making inroads into the Southeast Asian market, a presidential aide said Wednesday, calling the region “a blue ocean” for Korean companies. 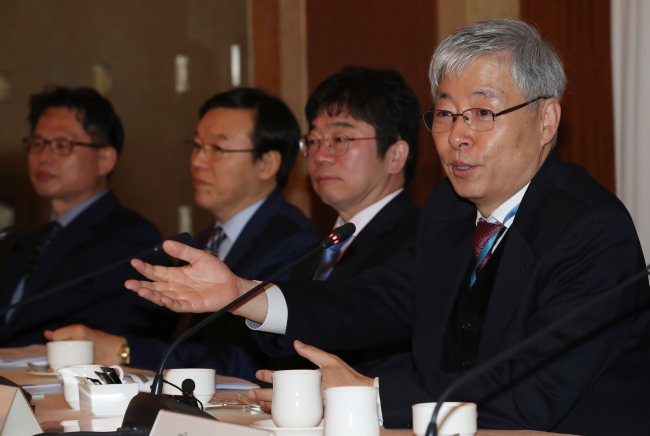 “Even if it is a blue ocean market, financial assistance is needed for companies entering the market with insufficient capital,” said Kim Hyun-chul, presidential adviser for economic affairs, at a meeting with local entrepreneurs. “We have allocated about 15 billion won for companies seeking entry to Southeast Asian markets as credit and technology finance,” he said. Kim heads the Presidential Committee on New Southern Policy. To prepare the pool for financial support, Kim plans to create a task force composed of Korea’s state-led banks and commercial banks, before seeking a parliamentary approval. The special committee within Cheong Wa Dae, founded in August, has also been preparing for human exchange programs between Korea and ASEAN countries. Startup incubators will be launched in Singapore and New Delhi for budding enterprises developing entertainment content to seize market opportunities there, he said. A communication platform will also be launched to facilitate cooperation between the committee and the Korean industry within the year, he added. The remarks came amid a growing need for Asia’s fourth-largest economy to diversify export destinations, as the export-driven economy’s heavy reliance on trade with China and the United States has left Korea exposed to political, diplomatic and economic risks that have largely resulted from an ongoing global trade war. Trade volume between Korea and ASEAN countries -- exports plus imports -- came to $132.1 billion from January to October, up 7.6 percent year-on-year, according to data from Korea’s presidential office. This accounted for 13.9 percent of the whole trade volume of Korea, whose trade volume with China took up 23.6 percent over the cited period. 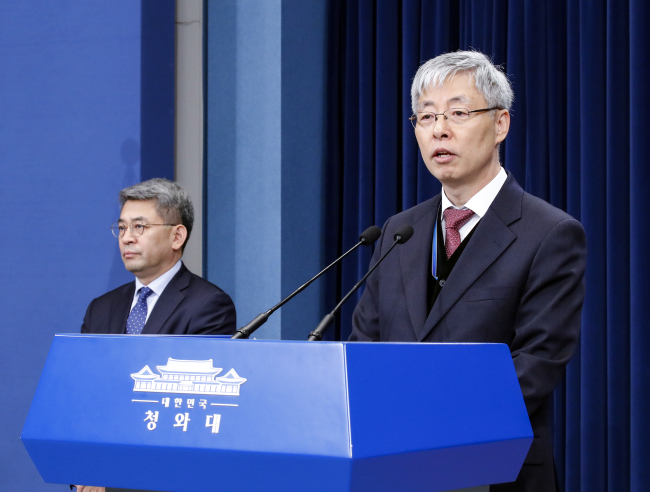 Given the uptrend, Korea’s yearly trade volume with Southeast Asian nations will top an all-time-high at $160 billion by the end of 2018, inching closer to the government’s goal of $200 billion by 2020, Kim said in a separate press briefing at Cheong Wa Dae on Wednesday. Promulgated by President Moon Jae-in in November 2017, the administration-backed New Southern Policy is designed to ramp up Korea’s ties with ASEAN countries and India. Following yearlong efforts, Vietnam has become the third-largest export destination of Korea, following China and the United States, according to Cheong Wa Dae. As of October, over 4 out of 10 bids for construction extended to Korean builders came from ASEAN countries and India. The volume of bids came to a combined $9.9 billion, topping those from the Middle East at a combined $8.6 billion. Also, Korean carmaker Hyundai Motor was the second-largest seller in India, while Kia Motors is building a factory to produce 300,000 cars that is set for operation starting in the second half of 2019.